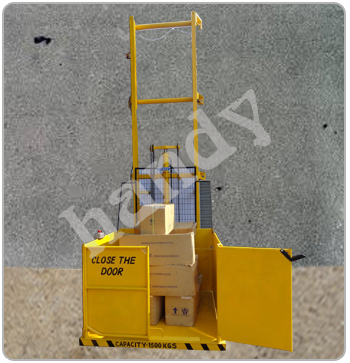 Wall Mounted Goods Lifts (Wall Mounted Stackers) manufactured by Technical Enterprises Meerut, under its brand name “handy” can be used to transfer the material from basement to first floor, second floor, or even up to third floor height. Infact, this is a more economical alternative to the Scissor Tables, particularly, for lighter loads up to 1500 kgs . 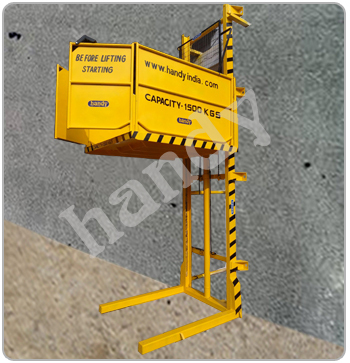 Wherever, a strong wall or vertical structure is available in the works, this can be installed more economically as well as in a comparatively smaller space. 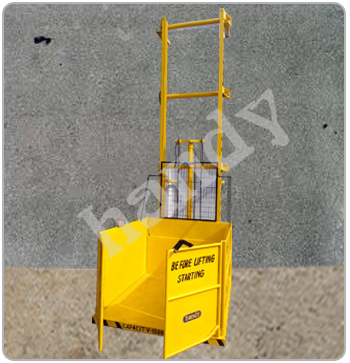 Two parallel vertical channel masts are provided with foundation plate which can be grouted in the wall. Which must be strong enough to sustain the vertical & the horizontal load. 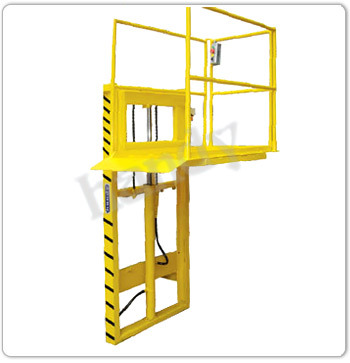 A saddle with forks or platform runs up & down with the specified load with the help of rollers travelling up/down along the mast of the Stacker. Push buttons are provided on the Control Panel for up / down motion. 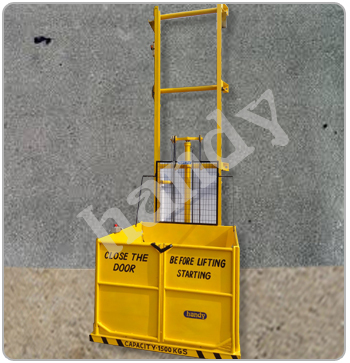 If a person has to go up / down along with the load, another push button station is provided over the platform. 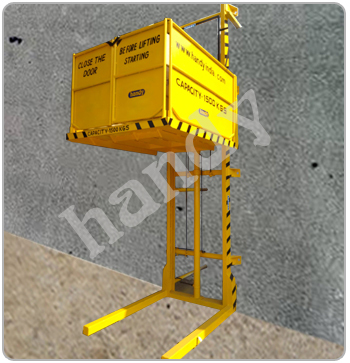 These are available in single phase or there phase electric supply. 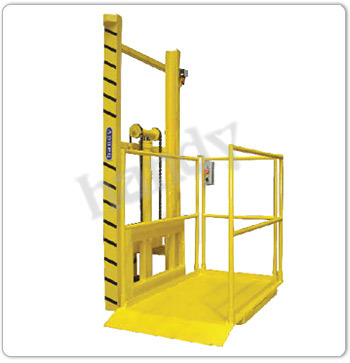 Capacity Range: 300 to 1500 Kg. Height Range: 1.6 Mtr to 8.00 Mtr.